Hello and welcome to the home of the High Tea Honeys. My name is Samantha and I am a little old-fashioned at heart. I love collecting vintage china, I spend at least one afternoon a weekend filling my home with the aroma of fresh baking and I much prefer working in gorgeous spaces with fresh flowers and a cup of tea. I am the founding Honey of the High Tea Honeys. 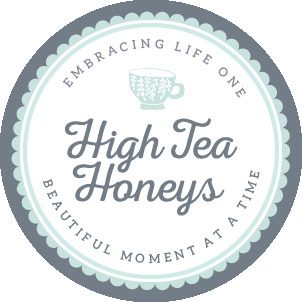 The High Tea Honeys were born from my own desire to bond with like-minded women in Wellington in order to share my growing tea set collection with at regular afternoon tea parties. We have grown to be a group of more than 500 friendly women with an appreciation for everything lovely from an elegant afternoon tea to handmade crafts and everything in between. We get together for fun and friendship, to try new things, learn from each other and to celebrate being a little old-fashioned at heart. I wanted a way to be able to share the special moments we create and our collective knowledge with you. Our online home was born for that reason and is dedicated to my obsession with all things lovely. Thank you for visiting, I am so pleased you found us, please enjoy your stay. I am so glad I have happened on your blog. I have been scouring the net looking for inspiration. I am celebrating my 50th birthday in the beginning of February and wanted to have a tea-party and also a crafting session with my girl friends who all like to create things. You seem like the ladies to help. I was thinking we could decorate hats and then have a high- tea somewhere. Do you have any suggestions. I also have vintage china a like lovely things too.